(l-r): Lewis Gillespie and Robbie Crawford. 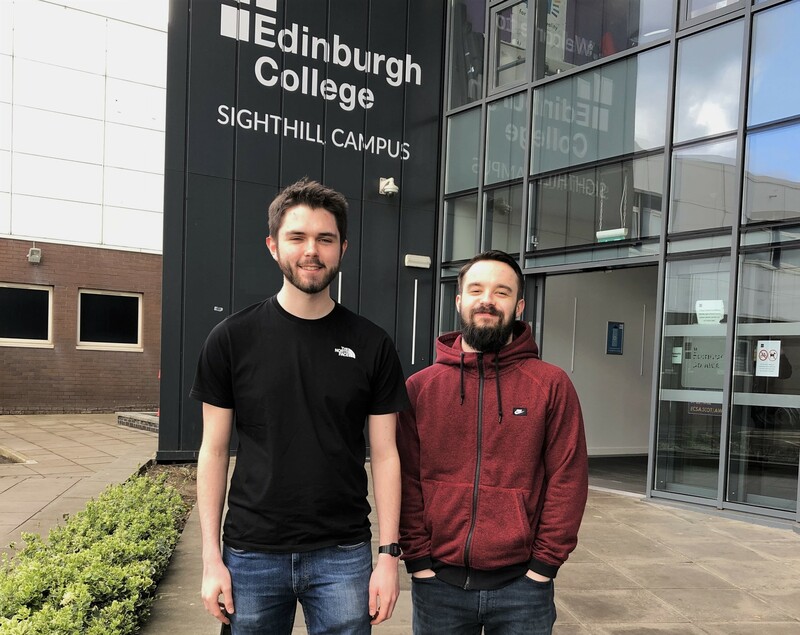 Lewis and Robbie from Livingston and Edinburgh were one of a number to be shortlisted and asked to present their proposal at the Scottish Parliament in front of a panel of leading industry figures. The duo will now work alongside media professionals to develop their ideas before producing their final one-minute film. The film is one of twenty to be commissioned and will be screened throughout the year on the Scottish Parliament channels and may feature in a permanent exhibition in the Parliament.